Encaustic, derived from a Greek word meaning “to heat or burn in” (enkaustikos). The art of encaustic painting actually dates back to ancient times when the Greek would use beeswax to caulk their vessels. They later discovered, they could create encaustic paint by adding pigments to the beeswax. The basic encaustic medium is a mixture of natural bees wax and damar resin. It's color has a yellow tint unless you add pigments to create a different color. Heat is the most important part of several steps in the process of creating a piece of encaustic art: from melting the encaustic medium and varnish it, to fusing the layers of wax into another until the creative process is finished. Photo-Encaustic is the combination of Photography and Encaustic. 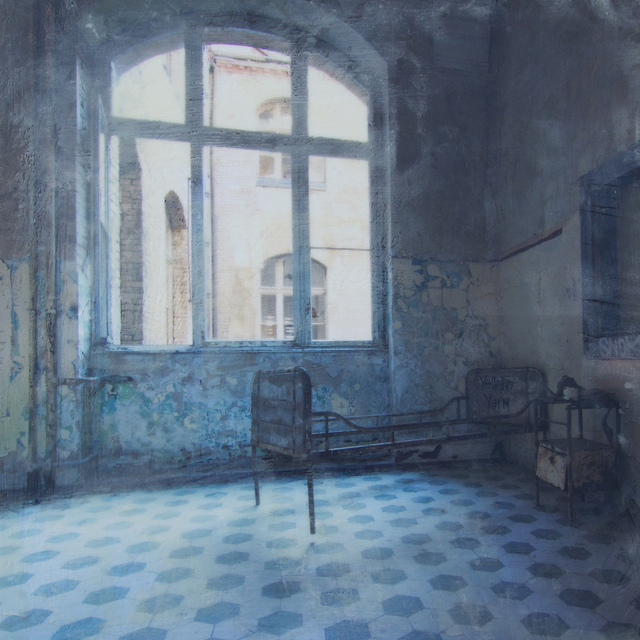 By applying this ancient technique onto my photographic prints I am able to create intriguing works with a three-dimensional effect. After the photograph has been mounted to the wooden panel the creative process begins: layers of hot beeswax being applied onto the photograph. Using bold brushes and spatulas to create alluring textures within the different layers. I sometime add pigments or oil paint to highlight the depth and the textures in the wax. This process is repeated until my interpretation of the image feels right. The results are often dream-like one-of-a-kind pieces with a mystical haze. Working with encaustic medium is unpredictable and always experimental and intuitive. To have full control over the wax - which cools down very fast - during the process is nearly impossible. But that is why this technique is so appealing to me.